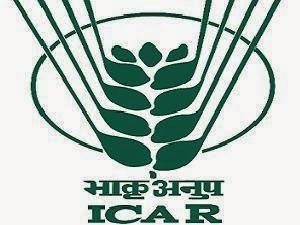 The Indian Council of Agricultural Research (ICAR) every year conducts ICAR Entrance Exam on all India basis. It is an Entrance Exam for admission Bachelor degree programs in agriculture and allied subjects (other than Veterinary Science) offered by Agricultural Universities. The AIEEA UG-2016 is scheduled to be held on April 9, 2015 across many city centers spread all over the country. The 21st All India Entrance Examination for admission to 15% seats in Agriculture Universities in Bachelor Degree programs and 100% seats in ICAR Deemed to be Universities. The 11 Bachelor degree programmes of four years duration are offered in the following subjects and are categorized into two Streams namely. Age Limit: The age of the candidate should be 17 years but not more than 23 years as on August 31, 2016. 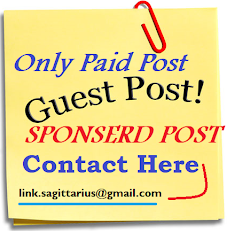 The candidate should have been born between September 1,1993 to September 1, 1999. Age Relaxation: For the candidates who belong to SC/ST/PC categories will be given an upper age limit would be relaxable by 5 years. For Stream A- The candidate should have passed Class 12 Senior Secondary Examination of the Central Board of Secondary Education. On the other hand, any other examination as per the scope and standard found to be equivalent to the Senior Secondary Examination of an Indian Board/University after a period of 12 years of study with Physics, Chemistry, and Biology/Agriculture/Home Science. For Stream B- Candidate should have passed Class 12 examination or equivalent necessarily with Physics, Chemistry and Mathematics subjects. Minimum Qualifying Marks: For candidates belonging to General, OBC and UPS categories must have secured 50% marks in aggregate and those belonging to SC, ST, and PC categories must have secured 40% marks in aggregate. There will be two streams and the students can appear in either of the two subjects: However Physics & Chemistry Exam will be common for both the streams. Stream B: Physics, Chemistry & Mathematics. Each correctly answered question will earn four marks. Negative Marking: One mark will be deduct for every incorrect answer.